At Optimal Health Family Chiropractic & Wellness Centre, we want what’s best for your health, and believe that begins with taking a complete look at what’s really going on in your body. 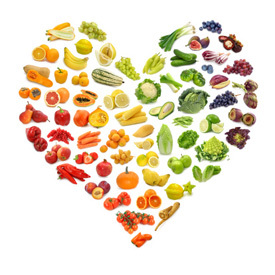 To help our patients uncover underlying issues, we may recommend a holistic nutritional consultation to help put you on the path to attaining optimal health with a clear and comprehensive strategy. How Can a Nutritional Consultation Help You? A nutritional consultation with our experienced team can help you better understand what’s really going on in your body and uncover crucial imbalances that could be affecting your everyday life and overall health. We’ll put together a plan unique to your body’s needs, which may include dietary support, supplementation or preventative medicinal measures. If you’re ready to learn more about what’s really going on in your body and diet, we invite you to contact Optimal Health Family Chiropractic & Wellness Centre today to schedule your nutritional consultation with us. We look forward to getting to know you and helping you unlock your best health yet.